Professional movers in Jupiter can really go a long way towards making your transition from one home to another quick and easy. Of course, they can also be a big hand for a small business looking to move as well. Top Notch Movers is just such a company and they are happy to help you with any of your relocation needs both local and long distance. This company is fully licensed and bonded giving you the protection you need and they will work out a customized moving plan for your household or business that fits your schedule. Moving is not a fun task but it can be a lot easier with the help of professional Jupiter movers. On top of their professionalism, they also offer guaranteed pricing meaning you will not be caught with extra fees at the end. This means the price you are quoted will be the price you pay. 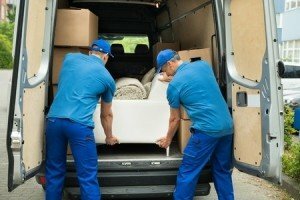 Add this to the fact that they pride themselves with the always on time service and there seems to be little doubt that when searching for Jupiter moving companies Top Notch Movers should be on your list. They have been working as their own company since 2013 and in that time have built an excellent reputation and have the reviews and references to show for it. Moving companies in Jupiter are not all the same, this is why research and referrals can be so important. You will find that Top Notch Movers also offer moving to storage and with secure and clean storage facilities. They will protect your belongings while in storage including plastic covers for mattresses, moving blankets for furniture and metals, and again they will do this on time and without damaging any of your belongings. There are no extra fees during storage either so the price you are quoted will be the price you pay. Top Notch Movers is a professional and experienced moving company, and we have your back. As Jupiter movers, we love offering our clients exceptional customer service that is unparalleled by other moving companies. Our ultimate goal is customer satisfaction and if you are not satisfied, neither are we. Call us today for a free estimate and quote!